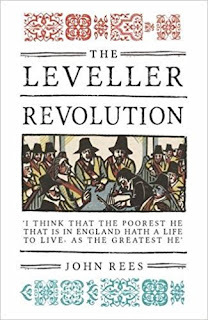 The Leveller Revolution: Radical Political Organisation in England, 1640–1650, by John Rees - published by Verso Books, price £25. 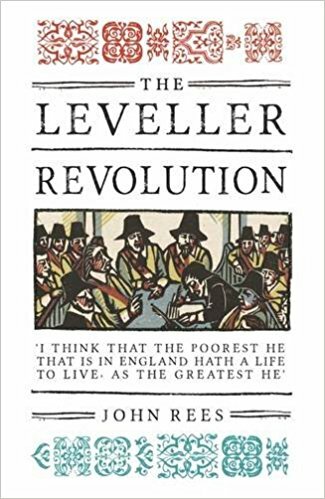 It is hard to believe as Michael Braddick points out in his excellent review that this book is the first full-length study of the Levellers since 1961. Having said that John Rees new book more than makes up for that. The Leveller Revolution is a tremendous advance in our understanding of the Leveller movement and its place in the English revolution. Over the last five years or so interest in the Levellers both mainstream and in academia has grown significantly. The Leveller Revolution follows on from a growing number of studies such as Rachel Foxley’s book The Levellers: Radical Political Thought in the English Revolution. The Agreements of the People, the Levellers, and the Constitutional Crisis of the English Revolution, Vernon, Elliot, Baker, P to name just two. This interest has been reflected in response to Rees’s book from mainstream and academic media with reviews in the Financial Times, TLS, and The Spectator magazine just to name a few. Why the interest as Braddick poses? One reason being is that the left learning sections of the media inside and outside academia have always had a fascination with the Levellers. The right seeks to tie the Levellers to the Labour Party and dampen any talk of revolution. Another reason is that the problems that the Levellers grappled with in the 17th century are unfortunately are alive and kicking in our own century. A third reason for such interest in the book and this is not to denigrate the book which is to a very high standard or the integrity of the author but the book does appear at a very precipitous time in so much that capitalism is going through a great crisis and what usually happens is that working people start looking for answers to today’s problems in the past. It is, therefore, important for a historian to present and objective account of any subject they write about. Rees manages a pretty good job. Much of the groundwork for this new book was done in Rees’s own Ph.D. thesis Unfortunately his new book is only partially based on that, but nonetheless it deepens our understanding of these revolutionaries and most importantly counters decades of traditional revisionist historiography. The book works well on several levels. It does not give a general history of the English revolution, but it does give a significant understanding of the revolution that coursed through 17th century England. It reads like a novel but maintains a very high academic standard. Second, only to the Russian Revolution, I doubt there has been a decade of revolutionary struggle that equals 1640-1650 of the English revolution. This decade produced a revolutionary army the likes the world had not seen. An entire army had, in another historical first, elected its own representatives from every regiment, challenged their commanders and altered the whole political direction of the revolution. A Republic was fought for and established. The House of Lords was abolished. A king was executed by his people for the first time in history. As for the national church, it was reorganized, and its leader the Archbishop of Canterbury tried and executed. As the regicide, Thomas Harrison said, “It was not, a thing done in a corner.” A group of revolutionaries was born that sought to establish a society based on communistic lines, and their theoretical writings and perspectives proceeded the development of Marxism by some 250 years. The political movement known as the Levellers appeared in the early days of the revolution. Despite small in numbers, they played a pivotal role in the character and direction of the Revolution. While it is correct to say, the Levellers appeared during the revolutionary decade 1640-1650 Rees has opposed the prevailing view that they had no history before that. This point has proved most controversial because up and till mow there has been little evidence to counter this view. And it is not just conservative historians that have this view. The book challenges historians to study more of how the Levellers organized. While acknowledging the difficulty researching underground activity from this far in the past Rees believes it is still possible and backs this assumption up with evidence and presents it in a very convincing way. Rees’s book also counters some historians who have tried to present the Levellers as just a free collection of radicals. Rees provides extensive evidence to the contrary. While not being a party in the modern sense they nonetheless were a well organized and strongly coherent group. One strength of the book is how Rees traces how the Levellers used secret printing presses and how they utilized churches as bases for their political activity.The congregation of these churches were not passive bystanders but circulated radical Leveller pamphlets and books. As Rees puts “by 1646, the group ‘both in the eyes of their opponents and in the internal ideological support they deliver to each other, is a functioning collective organization’ (pp.142-4). Rees correctly centers the activity of the Levellers around its leader John Lilburne. From a very early stage in the revolution, Lilburne saw the importance of underground printing . 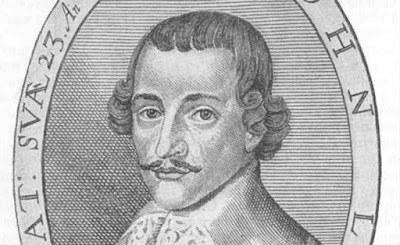 In a few short years, Lilburne had become widely known especially in London as a radical against the king. He was imprisoned by Charles I for distributing illegal pamphlets in the late 1630s. Perhaps the most important aspect of the book is Rees’s uncovering of the vast amount of material that was printed illegally by the Levellers. Rees is convinced that these radical pamphlets pushed the revolution in a leftward direction. The early part of the revolution saw the growth of a republican movement with Henry Marten who was a Leveller sympathizer being the first MP to advocate a republic. To describe the movement as a party is perhaps premature but nonetheless, they took on many characteristics of a party that would not look out of place today. As Rees says, there was then a ‘dense fabric of political opposition in the capital during the early days of the Revolution, and in some cases from before that, from which the Levellers emerged as an organized current. Underground activity in churches and taverns, combined with the secret printing and petitioning activity … provided a schooling in organized politics which would feed into the foundations of the Leveller movement. The point where meetings in churches and taverns spill over into mass street demonstrations is possibly an early decisive moment of transition. This is the point where clandestine or semi-clandestine activity becomes irrefutably public opposition to established authority’ (p.65). Rees’s research has given us a far closer approximation as to the class character of the Levellers. While it is correct to characterize them as revolutionaries, they were a movement of the petit bourgeoisie and not the what could be loosely termed at the time the working class. For the Russian Marxist Evgeny Pashukanis “the Levellers undoubtedly were a petit-bourgeois party. While some historians protest that capitalist relations were not that developed to describe them as such, I believe that there were sufficient bourgeois-capitalist relationships, at the 1640s to warrant such a claim. Their call for suffrage was not universal although even their call for a wider franchise was a revolutionary demand. The Levellers were a minority and could not mobilize the one class that would have given the poorer sections of society against Cromwell and his bourgeois allies. Much of their social composition was made up of the “middling sort” of lesser gentry, merchants, and craftsmen that made up the same social base as Cromwell. It would not be too controversial to say that Historians over an extended period of time have underestimated the size and importance of the Levellers and other radical groups to the English revolution. The nineteenth-century Whig historians such as Thomas Babington Macaulay was deeply hostile to any revolutionary movement. This conservative historian had profound difficulty in understanding the revolutionary actions of Oliver Cromwell or for that matter the class forces he represented. He could only offer the ‘incurable duplicity’ of the latter of Charles 1st. Many historians followed Macaulay’s lead into the 20th century in dismissing the Levellers. Probably the most important aspect of this book is to challenge this revisionist onslaught. Current historiography has indeed carried over much of the worst traits of Whig attitudes towards the Levellers. Some have ignored them completely such as John Adamson others have portrayed them as having little or no influence on the outcome of the war. John Morrill mentioned them twice in his book The Revolt of the Provinces. He continues “In a way, revisionism was never only about the English Revolution. Very similar arguments were deployed at much the same time about the French and the Russian Revolutions. Moreover, the revisionists depended on a wider conservative turn in social theory. The Althusserian school of the 1970s, which became the post-structuralist school, which became the post-modernist school which fed the ‘linguistic turn,' provided an analytical tool-box for the revisionists and those that came after them. Perhaps the most often cited attack on the Levellers is that they had no representation in the army. This downplaying of the military radicalism was led by Mark Kishlansky, Rees answers this “In my opinion, the revisionist insistence that the Levellers were exterior to the army is overstated. Many Levellers were of the Army themselves. 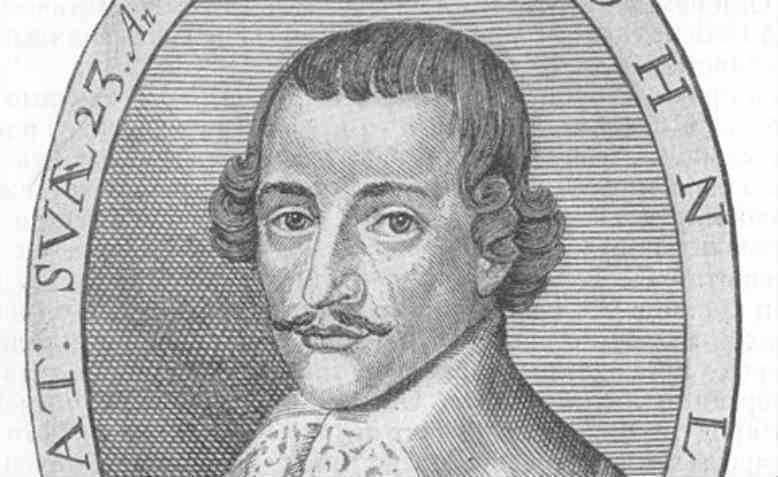 Lilburne had an exemplary and widely publicized military record. But Lilburne was not alone in this. Leveller William Allen served in Holles’ regiment. Leveller printer William Larner served as a sutler in Lord Robartes’ regiment. Thomas Prince fought in the London Trained Bands until he was injured at Newbury in 1643. John Harris ran an Army printing press. Leveller ally Henry Marten had a close engagement in military affairs in London and eventually raised his own regiment in Berkshire. Thomas Rainsborough and his brother William were Leveller sympathizers. Edward Sexby was a central figure in the actions of the Agitators. Army chaplains Jeremiah Ives and Edward Harrison supported the Levellers. This list is indicative but far from exhaustive. It does not include most of the figures directly involved in the mutinies at Ware in 1647, and at Bishopsgate and Burford, both in 1649. These connections add weight to Foxley’s observation that the Putney debates ‘marked not the end but the beginning of a potentially fertile alliance between civilian Levellers and army radicals’ and that this ‘reverses the picture painted by the standard revisionist historiography’ “(p. 158). I am glad that Rees spends some time on the role of Leveller women during the English revolution. Rees explains that not only ‘mechanicals’ could be found preaching but a significant number women (p.63). History and for that matter, historians have not been kind to women who took part in political activity on both sides of the English Civil War. There is a dearth of material on women’s struggle now. As far as I can ascertain no major biography exists of two of the most famous Leveller women Katherine Chidley and Elizabeth Lilburne. Women Levellers mounted large-scale demonstrations and organized petitions for social equality. They were met with differing levels of brutality depending on which class they belonged to. Overall middle-class women were treated with derision, but mostly no violence was committed against them. This is not the case with the poorer sections of the women’s movement who were often treated severely by MP’s and soldiers alike.” Many were thrown into prison, mental institutions, or workhouses. Middle-class women were quietly escorted away by soldiers and told to 'go back to women's work”. One MP told them to go home and wash their dishes, to which one of the petitioners replied, “Sir, we scarce have any dishes left to wash”’ (pp.290-1). This extraordinary revolution radicalized many women into political action. As Rees points out one of John Lilburne’s most famous collaborators, Katherine Chidley, also emerged from the context of the gathered churches. She published a remarkable defense of independent congregations, and religious leadership by the socially inferior, including women, becoming a key figure in Leveller publishing and organizing (pp.38-40). In many ways, this is the perspective of the current SWP. Rees who is an ex-member of the Socialist Workers Party SWP) still observes its attitude towards historical events. The SWP from the very beginning of their development adopted the British Communist Party approach to historical events. The English Labour history industry has presented several books and essays that see an unbroken historical line of English radicalism. As Ann Talbot succinctly put it “the Communist Party sponsored a form of “People’s History, which is typified by A.L. Morton’s People’s History of England in which the class character of earlier rebels, revolutionaries and popular leaders was obscured by regarding them all as representatives of a national revolutionary tradition. This historical approach reflected the nationalism of the bureaucracy, their hostility to internationalism and their attempts to form an unprincipled alliance with the supposedly democratic capitalists against the fascist Axis countries. People’s history was an attempt to give some historical foundation to the policies of Popular Front—the subordination of the working class to supposedly progressive sections of the bourgeoisie and the limiting of political action to the defence of bourgeois democracy—which provided a democratic facade to the systematic murder of thousands of genuine revolutionaries, including Trotsky. It was the approach that Christopher Hill was trained in, along with E.P. Thompson, Rodney Hilton, and Eric Hobsbawm, who were part of the Marxist Historians Group and came under the influence of Maurice Dobb and Dona Torr”. This viewpoint has even been adopted by historians who have no attachment to the SWP, Ed Vallance’s book A Radical History of Britain and David Horspool’s The English Rebel are two that come to mind. It is a perspective that says the English working class is inherently radical and revolutionary and does not need a Marxist scientific world outlook. John and I have clear and unbridgeable differences both politically and historically, but this does not stop me recommending his book to the widest audience possible. I Hope it starts a much-needed reinvestigation into this most important political tendency. It is expected that Rees’s book is translated into many languages and published in many countries as possible. Differences aside it is a vital book. Jeremy Corbyn is taking Labour back to the 1640s-David Horspool-The Spectator-Jan 2017. Leveller organization and the dynamic of the English Revolution John Rees Doctoral thesis, Goldsmiths, University of London, 2014. A cabinet of rarities': the curious collections of Sir Thomas Browne- Royal College of Physicians 30 January–27 - July 2017, Monday–Friday only, 9am–5pm. “His whole house and garden is a paradise and Cabinet of rarities and that of the best collection, amongst Medails, books, Plants, natural things”. 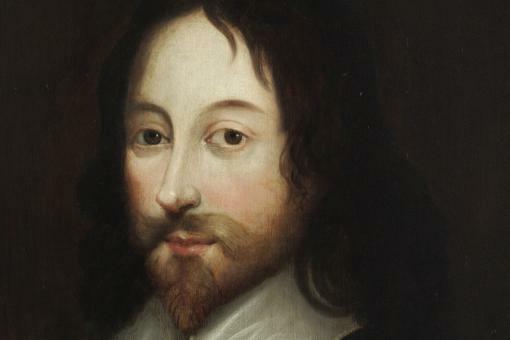 'A cabinet of rarities': the curious collections of Sir Thomas Browne' is a small, delightful and extremely informative new exhibition at the RCP. 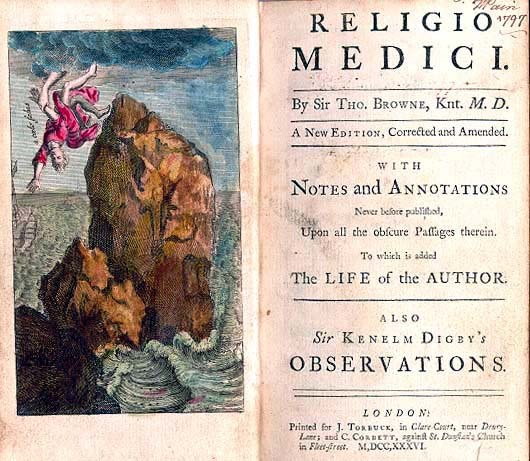 Sir Thomas Brown (1605–1682) was an RCP physician, philosopher, collector, and polymath. It is hoped that the exhibition along with ambitious plans to produce a collected works of Browne will go a long way to re-establish his significant contribution to science, medicine, botany, and literature. Although Brown was an intellectual giant of the 17th century, there are aspects of his thought and work that would not look too out of place in the 21st century. His attitude to life and death was a breath of fresh air. Browne’s world view in many ways encapsulated the contradictions of his age in the sense that in most of his thought and work he was a materialist and a polymath but still held out that witches existed and even testified in witch trials. Thomas Browne’s world view was a product of mainly two things, Firstly the age he lived as David North notes the “17th century started to fundamentally change the way man saw the world. Up until then, mankind's worldview had largely been dominated by the Aristotelian worldview. Until the early seventeenth century, even educated people still generally accepted that the ultimate answers to all the mysteries of the universe and the problems of life were to be found in the Old Testament. But its unchallengeable authority had been slowly eroding, especially since the publication of Copernicus's De Revolutionibus in the year of his death in 1543, which dealt the death blow to the Ptolemaic conception of the universe and provided the essential point of departure for the future conquests of Tycho Brahe (1546-1601), Johann Kepler (1571-1630) and, of course, Galileo Galilei (1564-1642). Intellectually, if not yet socially, the liberation of man from the fetters of Medieval superstition and the political structures that rested upon it, was well under way. Secondly was Browne’s education. In 1623 Browne went to Oxford University. He graduated from Pembroke College, Oxford. He went on to study medicine at some of Europe’s finest institutions Padua and Montpellier universities, completing his studies at Leiden. Great literary figures such as Virginia Woolf said ‘Few people love the writings of Sir Thomas Browne, but those who do are a very good person.’, Samuel Taylor Coleridge and Edgar Allan Poe have cited him as a major influence on their work. Much of Browne’s collection of Plants, animal samples books and paintings were housed at Browne's home in Norwich the RCP exhibition has managed to partially reconstruct a sample of this collection. 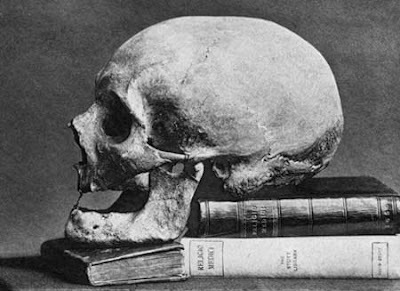 The collection also contains a cast of Browne’s own skull, made in the years after 1840. His coffin was vandalized and his head and hair sold on to a fellow collector. On show is a rare pirated copy of Sir Thomas’ masterpiece ‘Religio Medici’. Dated 1642. The collection has been put together by the same team that produced 2016 acclaimed exhibition ‘Scholar, courtier, magician: the lost library of John Dee’. "Sir Thomas Browne was an extraordinary man. A literary sensation and a renowned physician. A seeker of curiosities almost without compare in his time, an exploder of myths, a coiner of new words, a connoisseur of exotic animals and collector of rare plants." This exhibition is part of a larger project, led by the Queen Mary University of London, which is to edit the entire works of Thomas Browne. Given Browne’s influence and mental status, his writings have never been fully revised, and no earlier edition is in print. The goal of the 8-volume critical edition is designed to solve this anomaly. The large team of twelve editors includes two AHRC-funded post-doctoral research associates Two AHRC-funded Ph.D. students. “We hope that this exhibition, together with the collected edition of his works now in progress, will help restore this singular figure to his rightful place: as one of the most attractive men, not just of the 17th century, but of English literary history." A Turbulent, Seditious and Factious People: John Bunyan and His Church-by Christopher Hill-Verso 2017. If anything characterized Christopher Hill’s long career, it was his belief that to understand any historical change one had to believe in the rational connection between economics and politics and that the materialist base determines the superstructure of social, intellectual, and political developments. Maintaining this belief was not always easy. He came under fierce attack both inside the Communist Party (he left in 1956) and out. This idea still permeates Verso’s new edition of his biography of John Bunyan. When this book was originally published, Hill was accused of renouncing his Marxist interpretation of the English Revolution. Later, in life Hill attempted to answer this charge during a talk he gave celebrating the centenary of the publication of Marx’s “Das Kapital”. It has been translated into more than 200 languages. It was and is popular in America, the great Russian writer Pushkin admired it. And was the first English literary work to be translated into Polish. Today, while it is more likely to read by children, it is safe to say that many households in Britain have a copy. Bunyan wrote from a "class-conscious piety," as one writer puts it “ contempt for the wealthy and a passionate defense of the poor, that helps to explain why those writings exert an appeal that transcends the circumstances of Bunyan's own age”. It is true to say that we are still grappling with the great questions posed by the revolution in England in the 17th century. That issues of social inequality, religious freedom, democracy and even communism are still topics of discussion today bear testimony to the importance of studying this period. Hill was correct when he said we are still beginning to catch up with the 17th century. Hill’s examination of the life John Bunyan was done so in recognition of the rupture of class antagonisms that brought about the English revolution. Books like the Pilgrim’s Progress were an attempt to understand these events and in Bunyan’s case offer a critique as well as a solution. 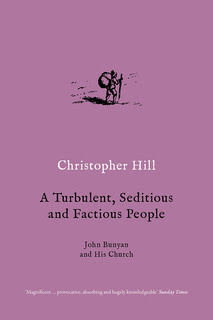 Hill’s excellent biography A Turbulent, Seditious, and Factious People: John Bunyan and His Church, 1628-1688 2017, traced a multitude of connections between The Pilgrim’s Progress and radical political movements. Both from the 17th century and later political campaigns. While reading the book, it should not take the reader long to figure out that this is not just a children’s book. The book has a deeper political meaning and greater social significance. Hill’s book helps us appreciate the political implications of Bunyan's allegory. The beauty of Hill’s book is that he carefully places Bunyan’s ideas firmly within the context of the religious and political conflicts that shaped the English revolution. As Hill states, he was "the creative artist of dissent,"
Bunyan was not on the same level of political maturity as John Lilburne and certainly not as open in his use of politics to gain power. However leading members of the gentry still saw him saw him as a threat and acted accordingly. Bunyan was to serve large swathes of his adult life in jail. Hill believed that Bunyan understood his working-class position and wrote accordingly. But why use the allegorical style of writing. It would not be too much of a stretch of the imagination that someone as intelligent as Bunyan would be blind to the growth of science and philosophy or that Newton, Boyle, Locke, and others had started to put mankind’s understanding of the world on a more rational and materialist basis, so why the allegorical style of writing. Hill believed that despite tremendous advances in science and philosophy it was still a dangerous time politically for anyone to attack the ruling elite. Per Richard Ashcraft “Bunyan quite deliberately used allegorical style, heavy-laden with metaphors and flights of fancy to avoid jail. In part, of course, the decision was a tactical one; ridicule is a powerful political weapon, and figurative language provides a rhetorical shield against the sword of the magistrate. But Bunyan was writing primarily for an audience of local literate artisans like himself, and he knew that "words easy to be understood do often hit the mark when high and learned ones do only pierce the air." Bunyan knew the creative power of modern prose, and "The Pilgrim's Progress" was "written by a man of the people for the people." Having said that even the most stupid member of the elite could not have failed to understand Bunyan’s use of these names which mirror tiered social structure of 17th century England. Lord Hate-good, Mr. Lyar, Sir Having Greedy, Lord Carnal Delight, Mr. By-ends, Mr. Money-love of the town of Coveting. “The pilgrim’s psyche is thus rooted in social and material life”. Bunyan was a teenager when he went into the Parliamentary army. He was to receive a very quick education both militarily but more importantly, this sensitive young man would have been exposed to the political cauldron that was brewing in the army and in wider society. Bunyan's radicalization did not take an overtly political form. His writings took the form of a ranged but allegorical attack on the religion of the day. To do this, it was necessary to in the words of one writer “adopt a distinctive political position in the context of 17th-Century English society”. While Bunyan had been a soldier during the Revolution as he grew into adulthood, he would have witnessed the ebb of the revolution and felt at first hand the years of reaction. He would have been alarmed at the rate that the revolution was being expunged from memory. It led him to write the book Mansoul (in the Holy War) to cognize and oppose what was going on. It is true is that Bunyan had a lot of years to think about these issues. Having spent 12 years in prison. Like John Lilburne, the Leveller leader, it seemed to only make him stronger politically. Even as I write this review of Hill’s book, I know that the first line of attack will be that Hill’s work is outdated and should be studied only as period pieces. Unlike Mark Kishlansky who once wrote “It is becoming difficult to remember how influential Christopher Hill once was when E.P. Thompson dedicated Whigs and Hunters to ‘Christopher Hill, I do not believe that Hill is outdated. In fact, a more objective review of his work is long overdue. Also, it is quite scandalous that no major biography of him has appeared. When Kishlansky reviewed the book, he stated that “This work became part of a larger project in which Hill sought to represent the dispossessed throughout history. He identified himself with such ‘radicals’, once instructing a group of US scholars to turn their attention to the study of Native Americans, and in a spirit of cleansing self-criticism proclaimed: ‘One of the things I am most ashamed of is that for decades I proudly illustrated the spread of democratic ideas in 17th-century England by quoting the ringing Leveller declaration, “the poorest he that is in England hath a life to live as the greatest he” ... Every he? Every man? What about the other 50 percent of the population?’ Here he may be anticipating the movement for children’s rights, as even the Levellers were advocating only an adult franchise and adults comprised only about 55 percent of the Early Modern population”. He went on to call Hill a Rolodex historian who was “immune to criticism.” The attack on Hill was wrong and was driven by political considerations. Kishlansky throughout his career consistently downplayed the numerical strength of the Levellers and their importance. I am not against healthy debate, but Kishlansky’s almost vendetta like attacks were “clumsy and resentful”. Hill was defended by his friend fellow former Communist Party Member E. P Thomson who wrote “The testimony of Baxter, Bunyan, Muggleton, George Fox and all Quakers, is disallowed because this served the polemical purposes of marking out the permissible boundaries of sectarian doctrine. This (which was McGregor’s old thesis) may indeed be true, but it by no means disproves the reality of a Ranter ‘moment’. It is notorious that in sectarian history (whether religious or secular) some of the fiercest polemics are between groups which draw upon a common inheritance and share certain premises. In its earliest years, Quakerism was involved in unseemly polemics with the Muggletonians, in which each side accused the other of having gathered up former Ranters among their adherents. I cannot see any reason this may not have been true of both since both originated in the Ranter ‘moment’ and both defined their doctrines and practices in part as a rejection of Ranter excess. Tom Shipley writes “Yet in other respects, and having admitted Hill’s immense reservoir of knowledge, it can seem that there is too much in his book of reading backward from now. One warning sign is the prevalence of phrases like ‘must have been.' Bunyan was in the army of Parliament for several years, and in what appears to have been a particularly ‘bolshie’ unit (the adjective is peculiarly appropriate). It is true that Bunyan hardly ever mentions this, but it ‘must have been an overwhelming experience’; in this milieu, radical ideas circulated so much that the young conscript ‘cannot but have been affected by them.' Maybe not. And quite likely reminiscing about the Civil War would have been ‘contra-indicated’ after 1660. But people can be stubbornly resistant to mere proximity. However, much scholars like to forge connections. It is striking to note, for instance – to take an example from Anne Hudson’s book – that Margery Kempe, about whose orthodoxy there was at least considerable doubt, had as her parish priest William Sawtry, the first man to be burnt to death for Lollardy. If the authorities who interrogated her had known that, they might have felt that this was prima facie proof of contagion. Yet as far as one can tell, Sawtry had no influence on Margery Kempe at all: on all disputed points of doctrine, she was rock-solid. Maybe the teenage Bunyan was as imperceptive. At least the evidence for his revolutionary radicalism must be stretched a bit. Although not a historian Shipley makes the case that Hill cannot be sure that moving in radical circles inside the army Bunyan became radicalized or that he was influenced to some extent. Again, this kind of argument is silly. Because no one hears a tree fall in the forest does not mean that the tree did not fall. Shipley's attack on Hill’s historical materialist outlook has been the stock and trade of every revisionist historian of the 20th and 21 centuries. When Hill was attacked by Kishlansky for being “immune to criticism” he was in some regards playing him a backhanded compliment given the ferocity of the attacks like the one from Hugh Trevor-Roper he would have needed to very thick skinned. Trevor-Roper complained of that Hill’s ‘scholarship is transformed into advocacy.' It is true that Hill was a partisan historian and was proud of it. As Ann Talbot wrote “As a historian, he stands far above his detractors and his books deserve to be read and reread, and if, with a critical eye, it should always be with the knowledge that his limitations and faults as much as his great historical insights and innovations are the product of his time. He may be bettered, but never dismissed, and only bettered by those who have studied him carefully. The radical publisher Verso has done an excellent service in bringing out this new edition of Hill’s biography of John Bunyan. It is hoped that this is only the start of a revival of interest in the work of the great historian.